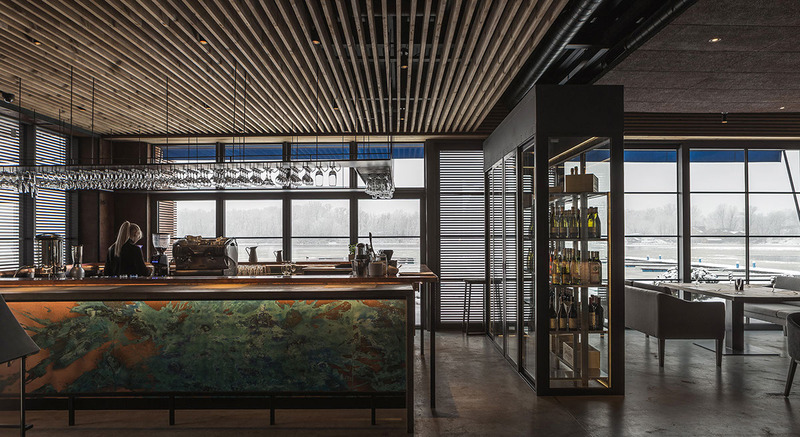 River Lodge is a restaurant, located on the territory of Riviera Riverside Yacht Club, and opened both for members of the club and for everyone else. 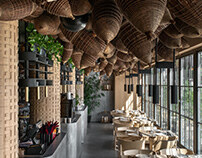 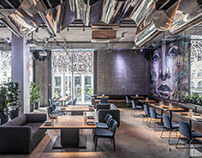 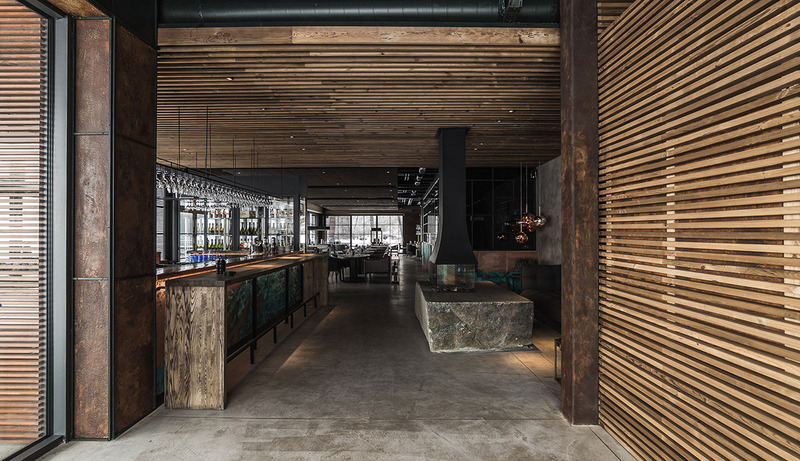 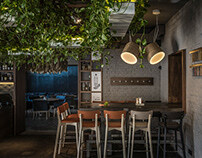 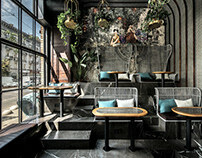 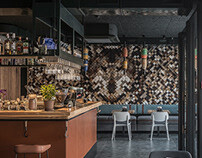 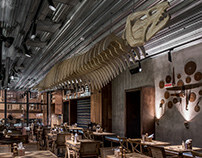 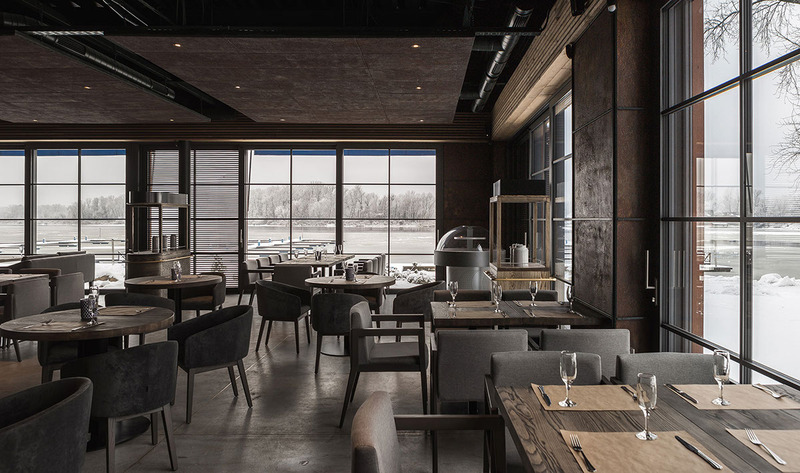 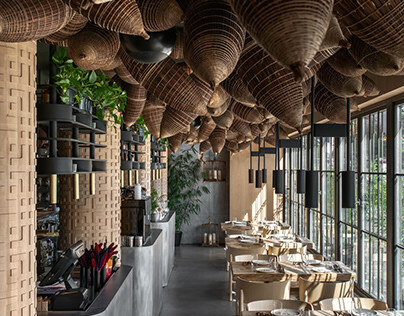 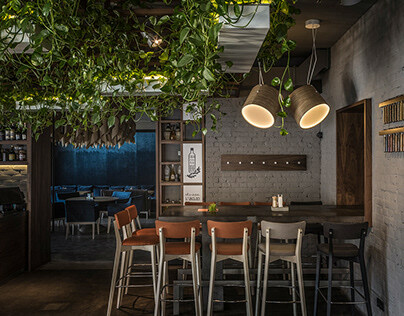 The style of restaurant is simple and not saturated with details, because the main focus is a view of the bay of Dnipro. 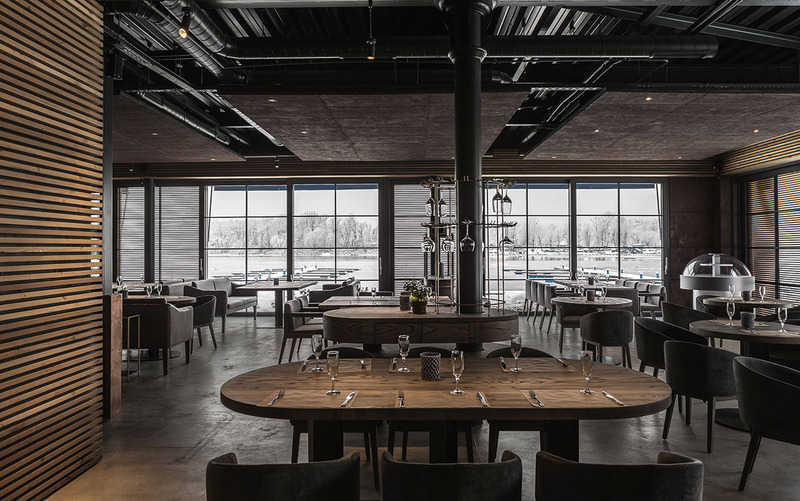 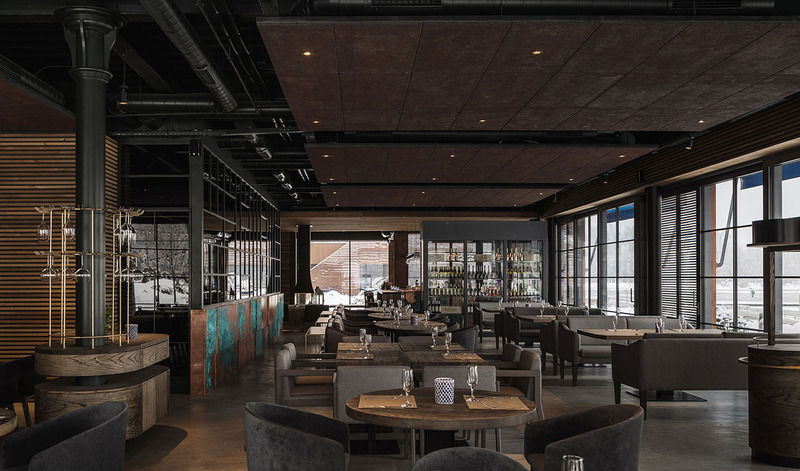 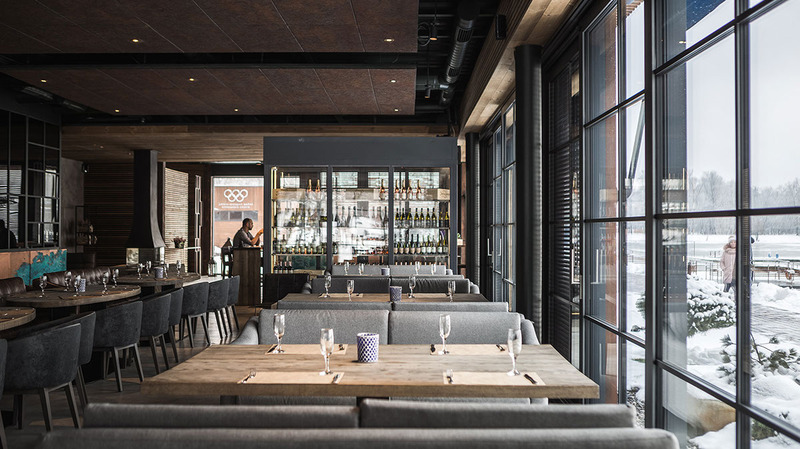 With the help of panoramic windows we tried to integrate as much as possible the interior space of restaurant into the surrounding landscape of a quiet harbor. 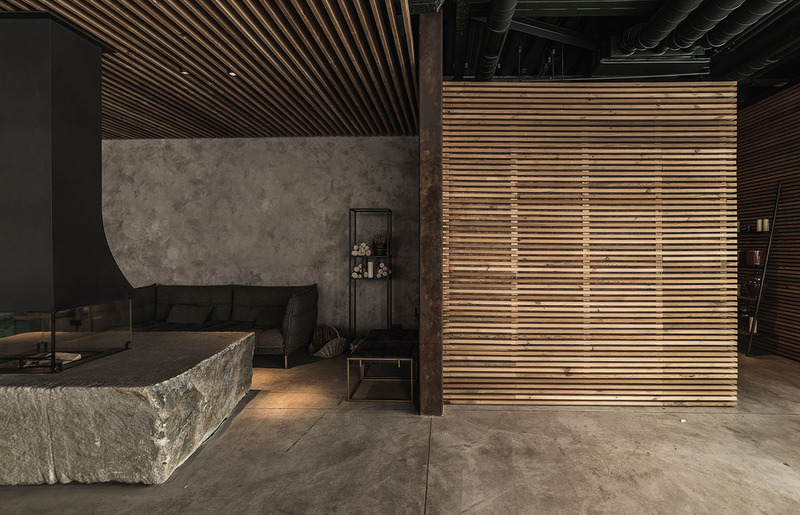 Considering that the facility is located near the water, in its decoration we decided to give proper attention to corrosion processes, which reflect the natural behavior of metal in contact with water. 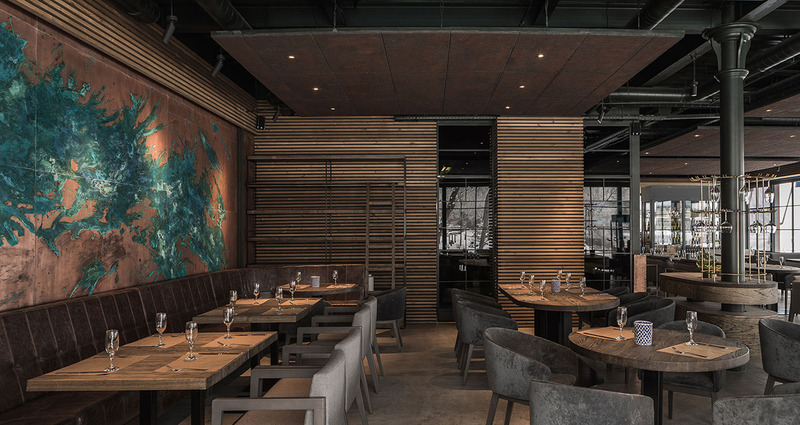 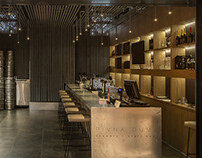 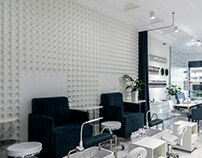 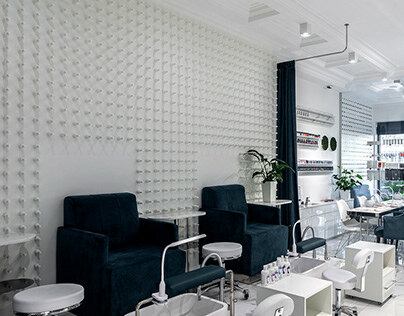 This served as the main motive for creating a central panel in interior, and not only this – the rust is in texture of bar counter and other elements of decor. 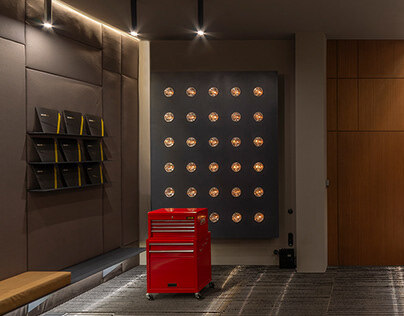 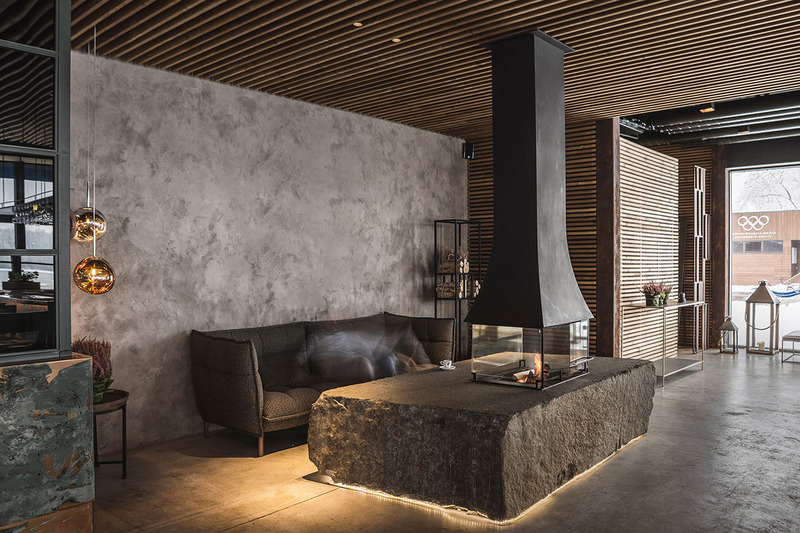 You can watch for water and fire forever, so for sustentation the atmosphere of absolute appeasement we installed a fireplace in lobby area. Here you can get warm coming of the street during the cold season and just relax and enjoy a burning fire. 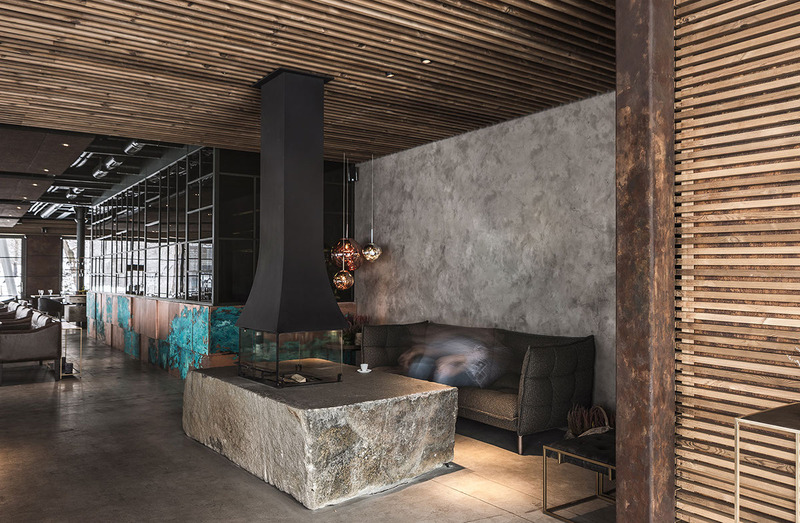 And the fact that a fireplace stands on base of a single stone slab, maximum stay closer to the natural open space, which is often lacking for residents of metropolis.